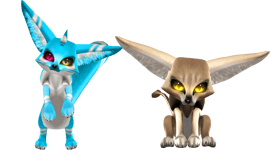 Get Started with Fennux™ Breedable Pets! You may purchase Fennux from other sellers in-world at Fennux Markets and Fennux Auctions. You may also purchase them via Starter Packs at the Official Fennux Sim or the Second Life Marketplace. Just make sure that all Fennux you purchase are created by "Fennux Resident", anything that is not created by this avatar name is to be considered fake.